Every-so-often we come across a dish which we keep to one side so that we can cook it for a special occasion, or for when friends come around, or perhaps for Christmas. 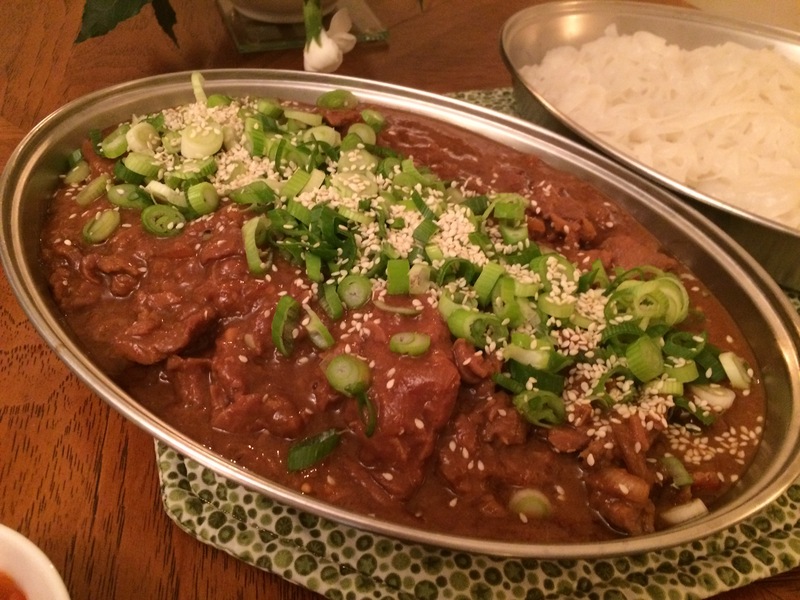 This Korean Beef was one such dish and as soon as I saw the recipe, I knew it had to be for a special occasion. It’s not a cheap dish to cook, but it is well worth the extra expense for a special meal. This dish only takes a few minutes to prepare; then about three hours in a slow cooker. I mixed all the ingredients together earlier in the day and just added them to the beef 3 hours before we wanted to eat. The beef was melt-in-the-mouth tender and I served it with rice noodles and Kimchi (a traditional fermented Korean side dish made of vegetables with a variety of seasonings) which was available at my local supermarket. Ask your butcher to thinly slice the sirloin so you end up with long, thin strips. Mix together the onion, garlic, ginger, chilli flakes, Tamari, sugar, stock, Sriracha, vinegar and sesame oil and pour into a large slow cooker. 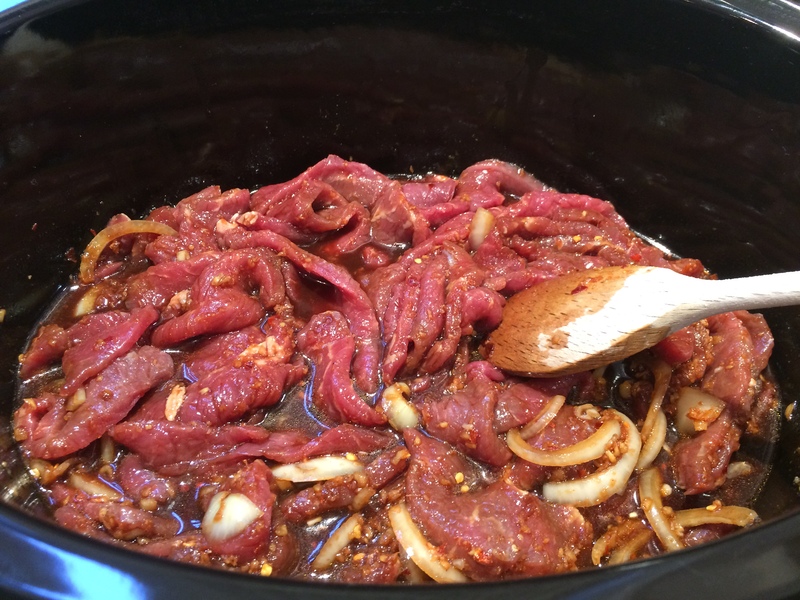 Add the beef strips a few at a time, ensuring they are completely covered in the sauce. Mix about 4 teaspoons of cornflour with 2 tablespoons of cold water and stir through the beef. Continue to cook for another hour. Serve topped with thinly sliced spring onions and sesame seeds, accompanied by rice noodles and Kimchi. 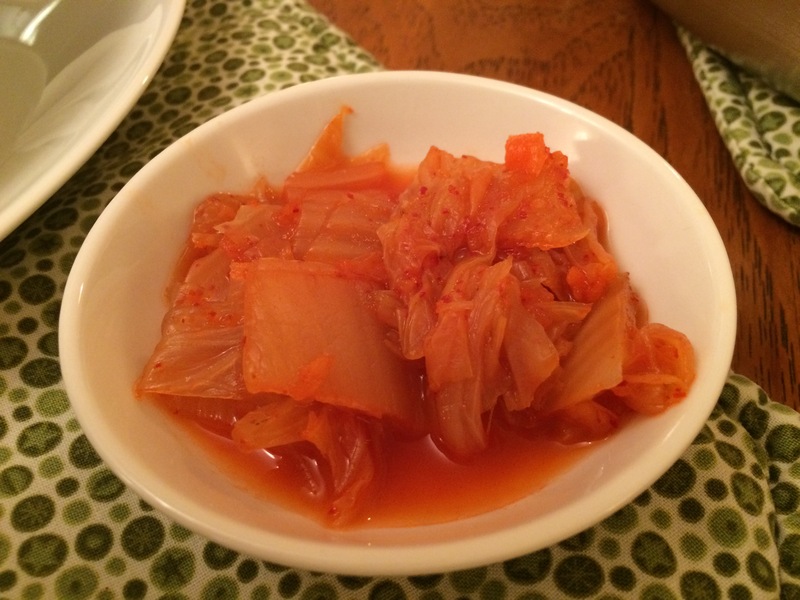 This entry was posted in Dinner and tagged Beef, Garlic, Ginger, Gluten Free, Healthy Eating, Korean, Onion, Sirloin, Spring Onions, Supper, Wheat-Free. Bookmark the permalink.